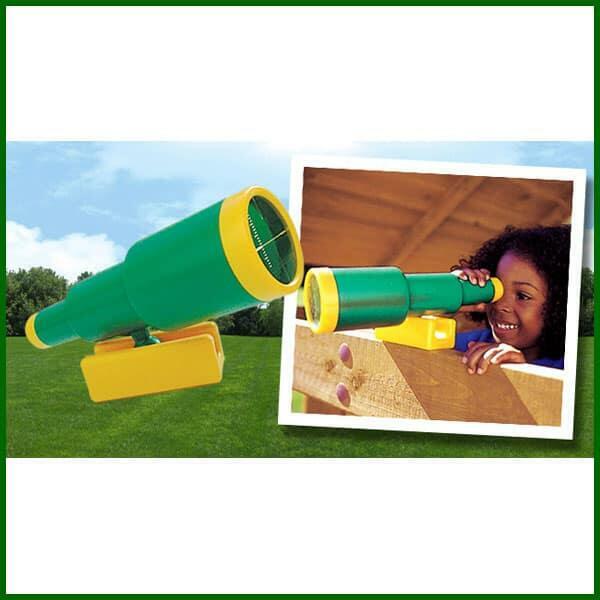 This fun outdoor swing set accessory is completely functional as a telescope. It encourages kids use their imagination, stimulating their mind. They can keep a watchful eye from their top deck of their pirate ship or watch the premises of the home for intruders. This playground accessory mounts easily onto most wood play gyms, swingsets or outdoor jungle gyms.